The first rule of Supper Club is, you do not talk about Supper…ok you’ve got me but I have kept it pretty shtum for around eighteen months so I should probably let you in on it. 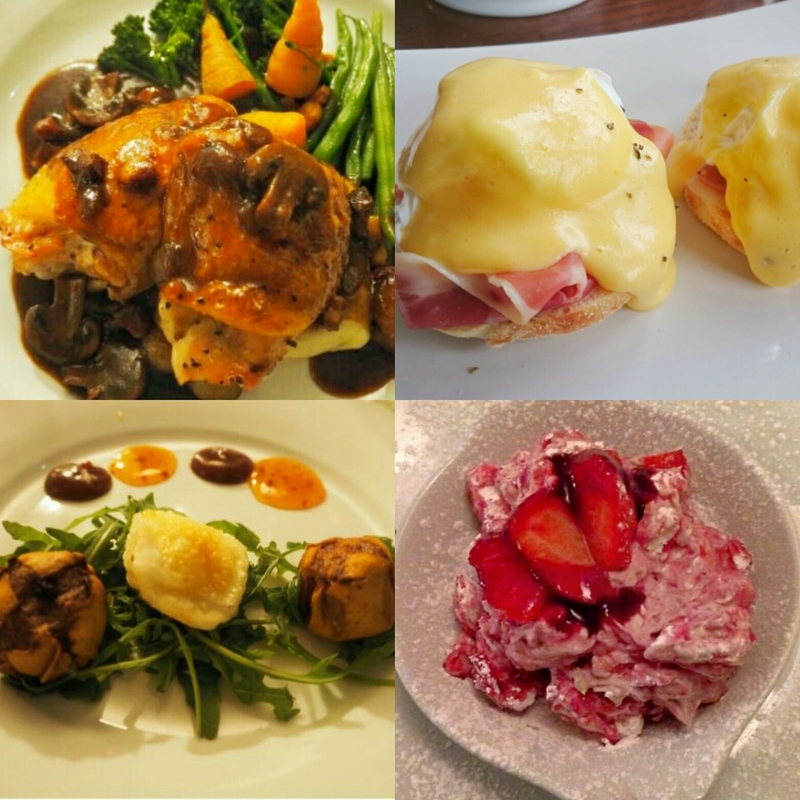 I discovered Woburn Brasserie around eighteen months ago when I stumbled across a Groupon deal for the restaurant offering a starter, a main each and a pudding to share for two people for around £20. I couldn’t believe my eyes as the deal not only sounded too good to be true but it was located in the affluent area of Woburn, which if I’m honest I hadn’t considered to be within my budget unless I was splashing out for a special occasion. 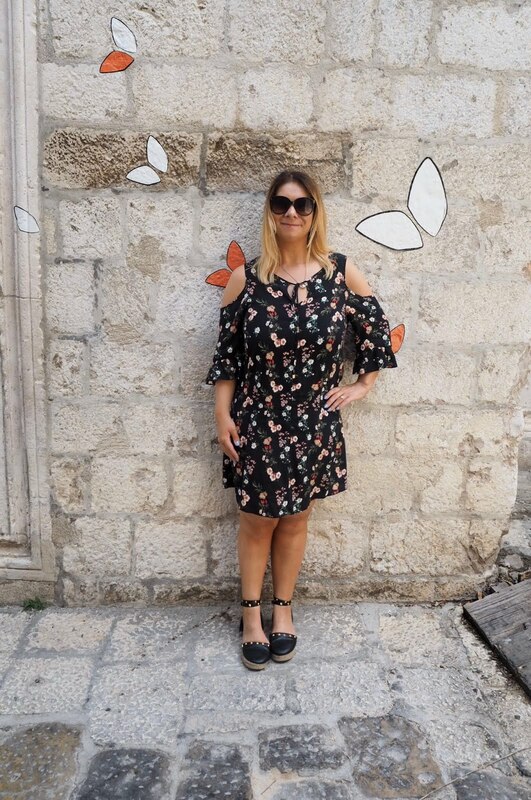 – I was wrong and since purchasing this deal for me and my best friend Jo, I haven’t looked back as whether you’ve got a deal or not the restaurant ticks all the boxes for food, service and ambience. 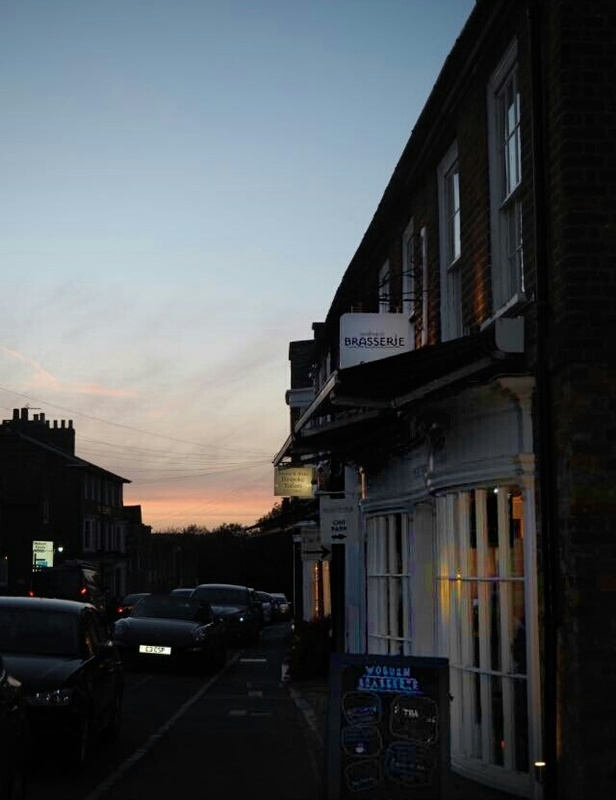 Nestled in the heart of Woburn high street, drive too fast and you’ll miss it is Woburn Brasserie, a charming little restaurant with a big front window. Every Thursday is Supper Club with the restaurant offering a unique menu for its weekly event, which includes a starter, main and a pudding to share for two for the bargain price of £30. 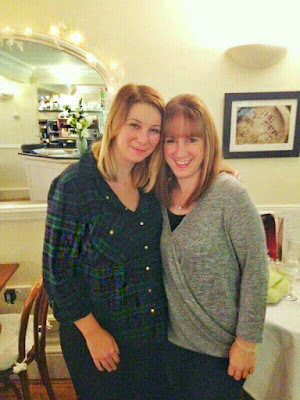 If I’m dining out on a Thursday, it is more than likely where you’ll find me, as located halfway between Leighton Buzzard and Milton Keynes it is the ideal place for Jo and I to meet, particularly as we are now Supper Club regulars! On Thursday 8th September we attended the restaurant for Supper Club to check out the menu, which is altered for each week. I was torn between the Smoked Mackerel and the Dim Sum for starter and after much deliberation Jo and I both choose the beautifully presented Dim Sum, which I hadn’t seen on the menu before and made a nice change. The round shaped dim sum had a crispy outer layer of wonton pastry, containing pork and beef accompanied by a sweet chilli dip and rocket salad. The white rolled dish was prawn in crispy tempura and was particularly tasty! Whilst the dish looks relatively minimal in the photo, the starter was a nice size to whet our appetites for the main event. For main, fancying a home comfort dish I ordered the Coq Au Vin which came with seasonal greens, mash potato and thick, rich tasting gravy. Jo ordered the Braised Pork Belly, which had a crunchy crackling top with sweet tasting pork and a side of red cabbage, which had an aniseed taste to it. The chicken in the Coq Au Vin dish was cooked perfectly, falling off the bone. 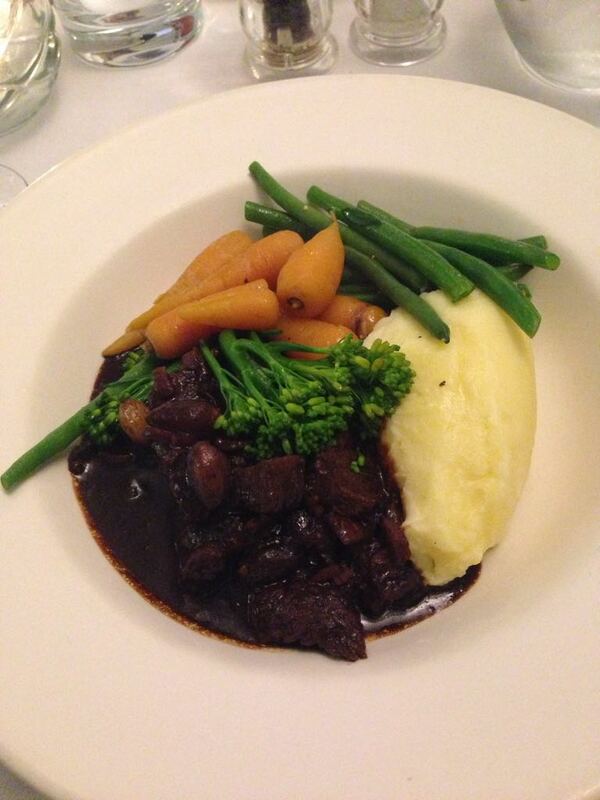 The restaurant takes pride in using the best locally sourced ingredients with these dishes being the perfect meal choices to ease us into Autumn. Forgetting for a moment we were sharing the pudding…I was keen to get the Coffee and Walnut Cake with espresso ice-cream, which luckily for me got the nod from Jo too. Despite being a sharer dessert, there is no scrimping on the portion sizes with a good size slab of coffee cake brought out with ice-cream and strawberries. The coffee and walnut cake had a rich taste and the flavour of the ice-cream was delicious; I have made a conscious note to look out for espresso flavoured ice-cream in the future. As always, the service in Woburn Brasserie was impeccable and one of the main reasons that has kept me coming back to the restaurant other than the exquisite food is that you can always rely on Woburn Brasserie to enjoy fine dining without feeling like you’re out of place. The restaurant itself is elegant with simple decor and a pretty, twinkling fireplace making it the ideal venue for a romantic evening as well as a place to meet friends and family. Since purchasing the Groupon deal eighteen months ago, I have eaten at Woburn Brasserie with family members and my boyfriend and I even went for Valentines Day. 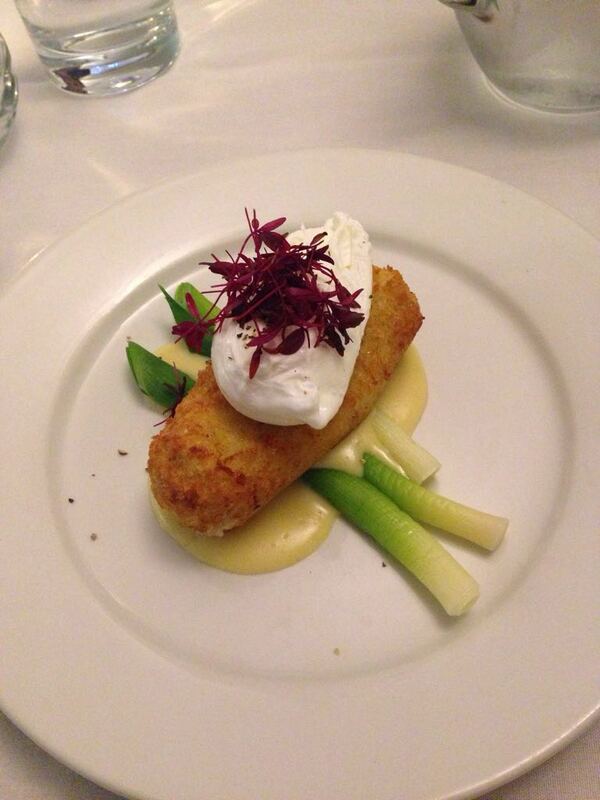 My favourite dishes so far have been the Haddock and Chive Croquette starter, shown below. The creamy Chicken Fricasse is up there as one of my favourite dishes but my favourite main is the Twice Cooked Blade of Beef, which I can only describe as sensational! 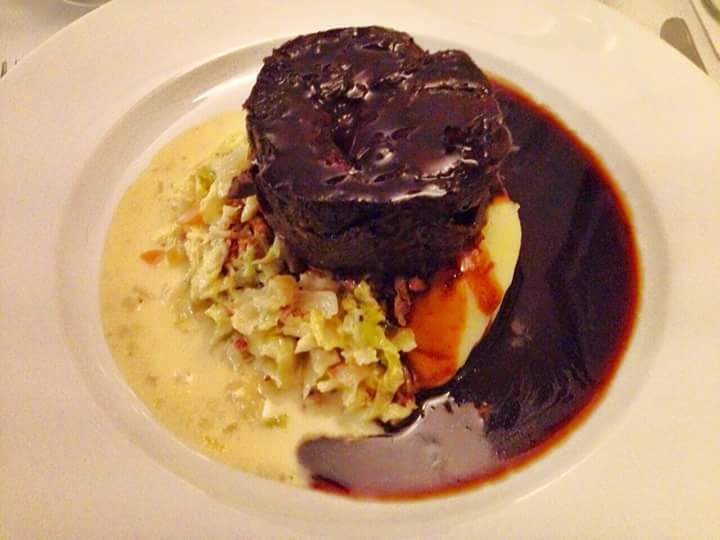 The beef is so tender it literally falls apart as you cut into it and the fluffy thyme mash, creamed cabbage and bacon, combination of red wine jus and creamy sauce makes this the perfect meal. I have to resist the temptation to order this every time I dine, it’s that tasty! 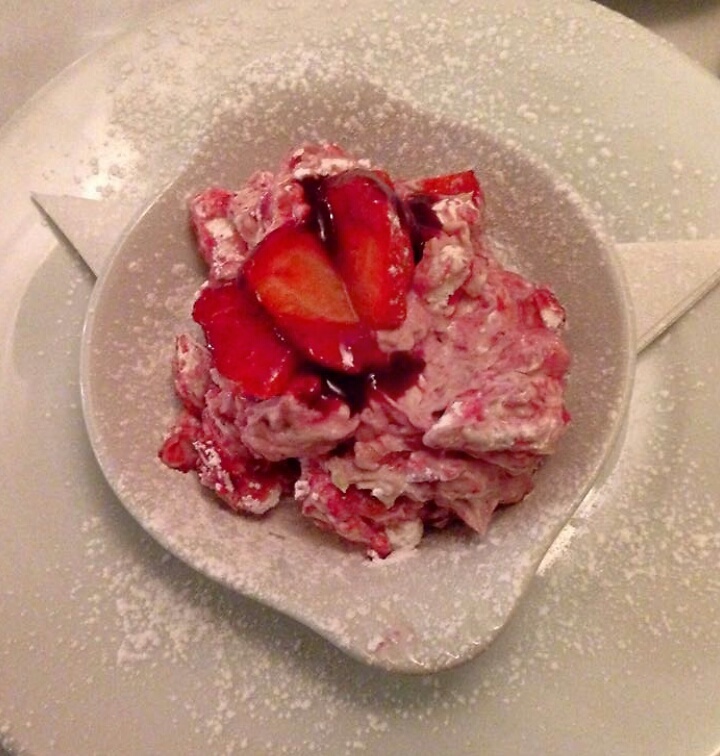 Those of you that read my review of The Navigation Inn will know that my favourite Summer pudding is Eton Mess, which if you haven’t tried it is smashed pieces of meringue served with cream and berries. The Eton Mess at Woburn Brasserie is one of the best, if not the best I have tasted and whilst you are more likely to find this on their Summer menu, be sure to give it a try if it’s available. Since attending Supper Club on the 8th September, I have returned to Woburn Brasserie for brunch and again was not disappointed. The Eggs Benedict included good quality prosciutto with the eggs in the dish and my mother’s Eggs Royale cooked to perfection. It’s no wonder the restaurant won best restaurant of the year at the MK Food Awards in 2015 and is a finalist in the Bedfordshire Food & Drink Awards 2016. I can’t wait to go for a Roast Dinner for their Jazz Sunday event when in Woburn for the Farmers Market held every third Sunday of the month. The Afternoon Tea from Woburn Brasserie looks good too and was recently reviewed by fellow MK Blogger Loubou for Afternoon Tea Week. Those looking to spend the day in the pretty Georgian Village Woburn can enjoy the Safari Park, Woburn Abbey and pretty trail walks located nearby. Woburn Brasserie is one of my favourite local restaurants – book your table by calling 01525 290260.